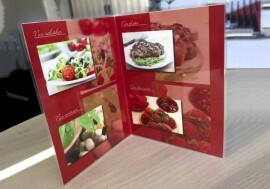 The menu of a restaurant is one of the most powerful and effective communication channels that allows customers to reach, generating the need or desire to order certain dishes or drinks. If this is achieved, the restaurant can increase its sales by as much as 30%. 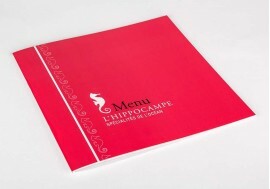 The menu for restaurant or bars is the first image that the client will have of the place he has chosen to spend a pleasant evening. For this reason, it is worth investing in a good menu that improves the image perceived by the customer of your bar or restaurant. 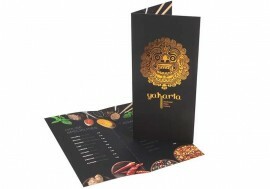 In this section you will find from basic cards to menus with luxury finishes. Ask us for a free quote and remember to tell us the size and number of cards you need. 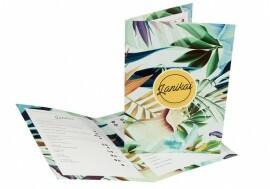 Letters for bars and restaurants dipticas, available in size A6, A5, A4 and A3In coated and laminate.. The Encapsulated will make your product unbreakable, washable and water resistant. 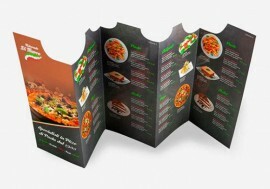 Possibi..
MATERIAL300grs coated paper, matt laminated or glossyQUANTITY OF PAGES8 or 12 pagesAVAILABLE FORMATS..
Unbreakable, washable and waterproof menu. High level performance.Can be used outdoors: convenient f.. 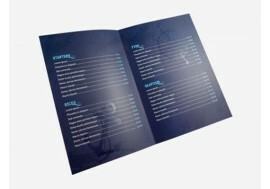 Menu restaurant with anti-scratch matte plasticized ideal for seafood, beach bars. For other 2D prin..
Die-cut diptic letter made in polyart (PVC) and plastified.Available in coated and special papers su.. 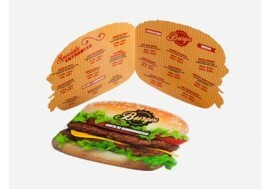 Die Cut MenuDie-cut menu are the most versatile and customizable to suit any type of business. 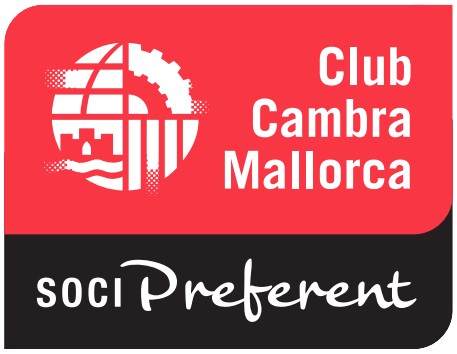 (Up t..